Visit our booth at the 2016 CT Flower & Garden Show in Hartford, February 18th to 21st. Bring ½ cup of soil for a free pH test and your garden questions for free advice. Turn the compost pile during any stretches of mild weather. Surprise your favorite relative or friend with a floral bouquet on Valentine’s Day from UConn Blooms on the Storrs campus. Check houseplants for signs of spider mites and control by spraying with insecticidal soap or water 2-3 times a week after giving them a thorough rinse in the sink. If you are overwintering plants into your garage or cellar, check the soil to see if it needs water. If the soil is frozen the location may be too cold. Purchase seed flats, containers, and peat pellets. Check your cold frame for needed repairs. 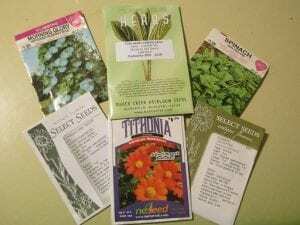 It’s also a good time to finish up your seed order, if you haven’t done so already. Begin pruning apples and pears as the weather allows. Start leek and onion seeds now. They need 10 to 12 weeks of growth before going in the garden. Prune grape vines at the end of the month. If you grow currants, remove all stems that are over 3 years old on a mild day. Inspect hemlocks for woolly adelgid. Plan to apply a dormant horticultural oil treatment in April if the cottony egg masses are found at the base of needles. 1. Remove bagworm egg masses from evergreen shrubs to eliminate the spring hatch from over-wintered eggs. 2. If rain is lacking, continue to thoroughly water trees, shrubs, planting beds, and lawn areas. 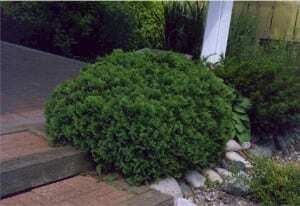 It is especially important to keep newly planted evergreens watered. 3. Plant shallots and garlic outdoors. 4. Use a mulching blade to finely chop fallen leaves and let them decompose on the lawn. Core-aerate to reduce thatch on lawns. 5. Limit herbaceous plant material located a few feet away from the house to eliminate hiding places for insects and mice that could wind up indoors as temperatures plummet. 6. Beets, parsnips, and carrots can be covered with a thick layer of straw or leaves and left in the ground for harvest, as needed, during the winter. This may not be an option in areas with heavy vole populations. 7. 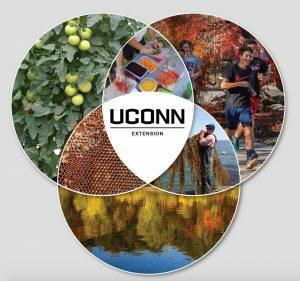 Avoid the spring rush and have your soil tested now by the UConn Soil Nutrient Analysis Laboratory (www.soiltest.uconn.edu). Incorporate recommended amounts of limestone and fertilizers into the vegetable and flower gardens for next year’s growing season. 8. As tomatoes end their production, cut down plants, pick up any debris and put dead/diseased plant parts in the trash or take to a landfill. Many diseases will over-winter on old infected leaves and stems so these are best removed from the property. 9. Weed and mulch perennial beds using a loose organic material such as bark chips or leaves to keep down weeds, preserve moisture, and give roots a longer time to grow before the soil freezes. 10. Outwit hungry squirrels and chipmunks by planting bulbs in established groundcovers. Lift and store tender bulbs, i.e., cannas, dahlias and gladiolus after first frost. For more information contact the UConn Home and Garden Education Center at ladybug@uconn.edu or 877-486-6271. August is supposed to be the month of non-stop tomatoes. Occasionally things go awry to interrupt those carefully laid spring visions of bountiful harvests, sauce making, and endless tomato sandwiches. Blossom end rot can appear to put an end to the crop production by damaging the ripening and developing fruits. We are seeing and receiving calls in a higher number than more recent years from backyard gardeners complaining about black rotten spots on the bottom of their tomatoes. The spots start as a thickened, leathery spot that sinks in, always on the bottom of the fruit. Blossom end rot can also occur on peppers. 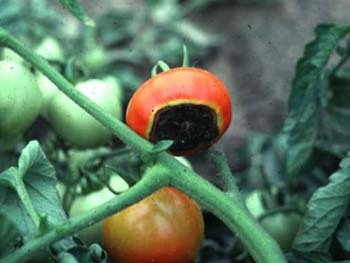 Blossom end rot is a physiological condition due to lack of calcium. Calcium is needed by plants for proper growth in all functions of cell making, but is most important for cell walls. Without enough calcium either in the soil, or if delivery of uptake of dissolved calcium in soil water is interrupted, cell division stops in the fruit. Tomatoes are especially sensitive to a lack of calcium. Interruptions in uptake of calcium can happen by repeated cycles of soil drying out, receiving water, and then drying out again. Times of drought and hot, humid weather make the problem worse. Plants lose water through their leaves through a process called transpiration, similar to the way we sweat. They then pull up water through their roots. If there is not enough soil moisture, plants wilt. This break is water delivery also limits calcium delivery. 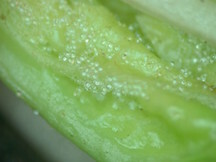 Tomato, and to a lesser degree pepper fruits, respond by developing rot on the bottom, the end where the blossom was before the fruit started growing. 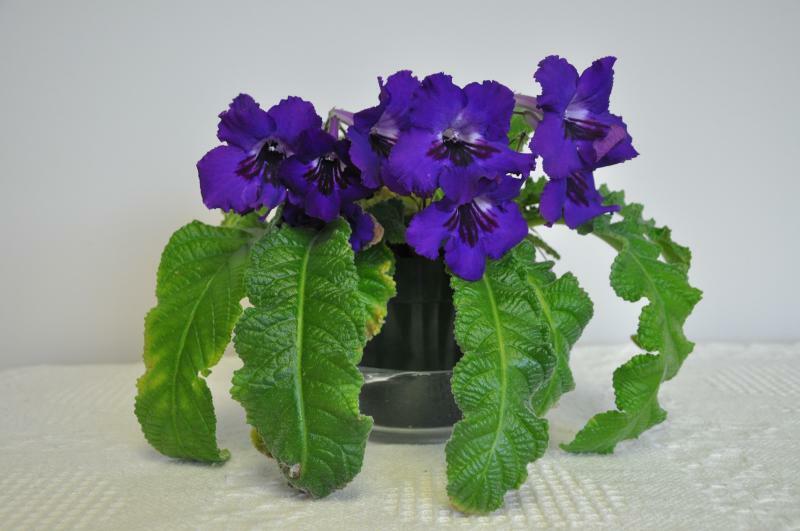 High humidity and multiple cloudy days reduce transpiration, thereby reducing water uptake. This leaves plants not able to bring up new calcium rich water to the site making new cells of the fruit. Another interruption of delivery of calcium resulting in blossom end rot. This means that even if you have enough calcium in the soil and you water the soil regularly, the plants still may not be able to move enough calcium to where it is needed to produce a fruit. Have a soil test done to make sure soil has enough calcium and that pH levels are around 6.5 so nutrients are most readily available. Water regularly so plants receive 1 to 2 inches of water per week for optimum growth. Feel the soil around the root zone to make sure water is soaking in and reaching the roots. Humidity and cloud cover are not obstacles we can help the plant with, so monitor the fruit for rot spots and remove. There are calcium foliar sprays that claim to deliver calcium to be absorbed by the leaves for use by the plant. This won’t help after the rot has already developed, but may help deter future spots on still developing tomatoes. Remove non-productive plants from the vegetable garden and sow cool weather crops for fall harvesting. Renovate strawberry beds by mowing to a height of 1 ½ inches, thinning plants and side-dressing with a balanced fertilizer. Stop pruning evergreen trees and shrubs to avoid promoting new growth that will not harden off by the first frost. Pick summer squash and zucchini often to keep the plants productive. Fertilize container plantings and hanging baskets. Reseed the lawn in late August. Be sure to keep the seed moist until germination. 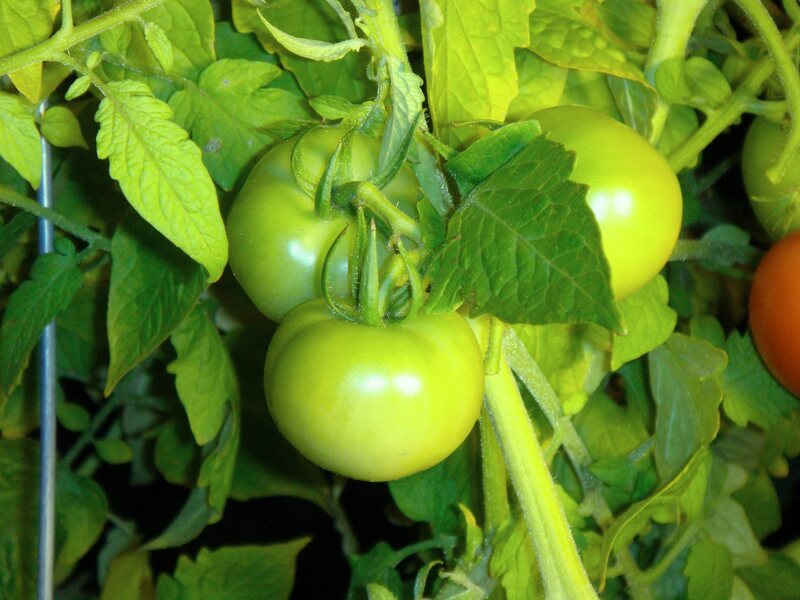 Allow tomatoes to ripen on the vine for the best flavor although some cherry tomatoes are prone to splitting if left too long. Continue to scout for insects in the vegetable and flower garden, hand-picking them when possible. Practice good sanitation by removing any fallen fruit or plant debris from the garden, do not compost it. Don’t forget that trees and shrubs require water during extended dry periods. 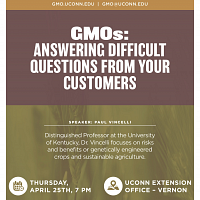 For more information please visit the UConn Home and Garden Education Center or call 877-486-6271. Do not prune rhododendrons and azaleas after the second week of July as they will begin setting their buds for next year’s blooms. Put netting on fruit trees and bushes a few weeks before the fruit begins to ripen to protect it from birds and squirrels. Fertilize roses for the last time in mid-July. Pinch back herbs to stop flowering and encourage branching. Pick herbs early in the day when they are well-hydrated. Air dry, microwave or freeze. Raise the mower height to 3 inches in hot weather. Water plants and lawn early in the day to reduce the loss of water due to evaporation. Check containers again at day’s end as they can dry out during a hot day. Control mosquitos by eliminating sources of standing water. Inspect garden plants regularly for the presence of insects and disease. Grub controls should be applied to the lawn no later than July 15th. Check out the UConn Dairy Bar’s summer ice cream flavors – peach and blueberry cheesecake! 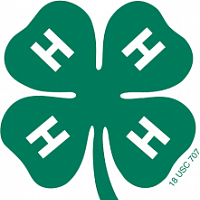 For more information please visit the UConn Home and Garden Education Center. Some spinach cultivars are expected to have pretty bumpy, puckered leaves. If your plants are not that type, but the leaves look like that or have small holes in them when they expand, crown mites (Rhizoglyphus sp.) are a possible cause. 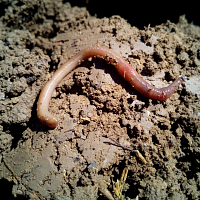 Conditions that favor mite activity and damage are a soil high in organic matter and a cool, moist environment. Mites can be found in both soil and within the smallest, just-opening leaves in the crown of the plant. Magnification is required to see these tiny, nearly transparent mites. Transparent, spherical eggs are laid in the inner folded leaves and mites of all stages of development can be found together. They feed on germinating seeds, seedlings and young plants. Damage is reported to be less significant as the plants increase in size. The mites are characterized by having long hair-like setae attached to their posteriors as seen in the magnified image. This pest was first described in the U.S. in California in 1949, so it’s familiar to spinach growers there, but it’s pretty new to us in New England. 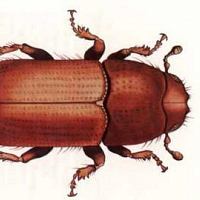 There was a report of this pest from Rutgers University in New Jersey in 2013. Definitely something to be aware of if you grow spinach. The occurrence reported here was from New London County, Connecticut. The spinach was being grown in a high tunnel and about 75% of the young plants were affected with symptoms as pictured. Recommendations for this pest include good sanitation (removal of infested plants) and crop rotation. Efforts to promote warm temperatures and reduced humidity may also be helpful. For additional information, this is a good fact sheet from University of California. 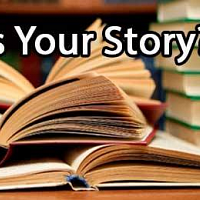 To see more pictures, please visit the UConn Home and Garden Education Center’s blog. We moved into our home in December of 1996 and by June of 1997 I had broken through the sod, tilled the soil, fenced in an area, and planted a new garden. One of the first additions to that garden was a strawberry bed. Even though it took up ¼ of the space and only produced fruit during June I was always happy to have it there. Over the ensuing years the plants have, at various times, bloomed, bore fruit, sent out runners for daughter plants, and died. Three years ago I renovated the plants and moved them to a different area within the garden. This year they started to bloom around Mother’s Day and there were already a few signs of small green berries within a week. The weather during that time was unseasonably warm with a few days of temperatures close to 90°. By May 15th the rainfall for Connecticut was already 1.74” below normal. Like most fruiting plants strawberries require 1” of water per week during fruit set and the growing period. Most years this is not an issue but this season has required many trips to the slowly depleting rain barrel. At least it has been warm. Some years a soggy, cold spring has led to a very small harvest. Also, temperatures that dip into the 25-35° range require covering the plants as they are susceptible to frost damage. If you have pushed their winter mulch to the side you can just bring it back over the plants should there be a frost warning. There are three types of strawberries that are generally available for the home gardener: June bearing, everbearing and day neutral. 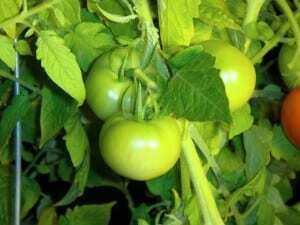 June bearing, as their name suggest, produce fruit during a 2-3 week period in June although there are early, mid and late season varieties. Everbearing strawberries have three periods of flower and fruit production during spring, summer and fall. For better productivity and fruit quality choose day neutral over everbearing. Day neutral strawberries produce fruit throughout the growing season with few runners. If your space is limited, the soil quality is poor, or you like to plant in containers or beds, then day neutral is a good choice. Day neutral strawberries are often grown as annuals and replanted each spring. If you choose to allow the beds to carry over to the next year you may see that the yields will decline. Strawberries prefer well-drained soil that is rich in organic matter. They need full sun. Do not plant strawberries in an area that has had solanaceous crops such as tomatoes, potatoes, eggplant or peppers within the previous four years as non-host specific Verticillium root rot fungus also affects strawberries. Another soil-borne fungus that affects strawberries is Phytophthora fragariae (Red stele). Phytophthora fragariae is a very persistent fungus and can survive for up to 17 years once it has become established, even if no strawberries are grown during that time. Even varieties that are listed as resistant may succumb if planted in an area that has had a prior infection. Black root rot is another disease brought on by fungi, nematodes and environmental factors. Avoiding areas that become waterlogged is very important when growing strawberries. After you have enjoyed the fruit from June bearing varieties the plants should be renovated. This is the part that makes me cringe. Mow the strawberry plants to a height of 1 ½” above the crowns! It seems to go against every gardening intuition that I possess. Then fertilize with a balanced fertilizer. You may also need to narrow the plant rows to 10-12” and thin out plants that do not look healthy. Spread 1/2” of soil over all but do not bury the crowns. Be sure to continue watering through the fall. Strawberries may require a bit of work but they are definitely worth the effort. Biting into a fresh-picked, still warm from the sun, strawberry is a bit of heaven. And then ladling lightly sugared berries over a biscuit with whipped cream? Yum. Or baking them into a crisp accompanied by rhubarb also fresh from the garden? So good. And of course, it doesn’t get any better than cooking them into preserves and hot water bath canning them so that they can be enjoyed all winter long. As of this week I had one 12 oz. jar left from last year’s batch. Now that I can see this year’s crop coming I popped the seal, put a nice spoonful on some cottage cheese and remembered all the reasons that I have strawberries in the garden. Thin or compacted turf will benefit from core aeration and over-seeding. Keep new seed moist until germination. Remove spent blooms on tulips, daffodils and other spring flowering bulbs to focus its energy on growing new bulbs rather than producing seeds. Plant tomatoes, peppers and melons after the danger of frost is past and the soil temperature is 65° F – usually around the last week in May. 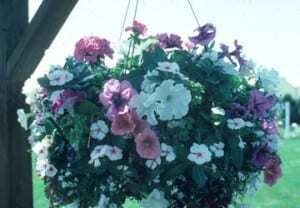 Rotate plants each year to reduce insect and disease problems. Ground covers such as vinca, ajuga, pachysandra, creeping foamflowers, lamium, and ivy can be divided, transplanted and fertilized now. Start to monitor lilies for red lily leaf beetles. Check the underside of leaves for the clusters of tiny orange eggs and remove. Spray with Neem every 5-7 days to kill larvae and adults or handpick and destroy. Plant dahlias, gladioli, cannas and other summer flowering bulbs. Put hoops and stakes in place for floppy plants. Turn your compost pile to add oxygen and speed decomposition. 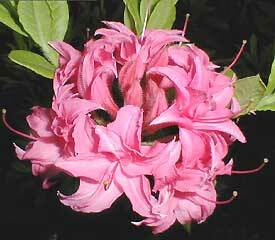 Feed azaleas, rhododendrons, and other ericaceous ornamentals with fertilizers for acid-loving plants. Begin deadheading roses and apply fertilizer in mid-May, mid-June and mid-July. Fill hanging baskets and containers with trumpet-shaped blooms such as nasturtiums, nicotania, fuschias, and salvias to attract hummingbirds. Purchase onion sets for planting and set 1 inch deep and 4 to 5 inches apart when soil can be worked. Early spring is a great time to spot spray or hand-dig dandelions. If spraying, choose a product that won’t kill grass. If digging, wait until after a rain, when soil is soft. Apply horticultural oil sprays to control insect pests on fruit trees if temperature is over 40°F. Fertilize all fruits mid-month except for strawberries- these are fertilized later in the season. 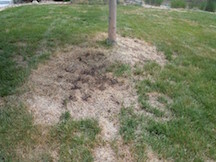 If you have dead spots in the lawn, patch them before the summer heat. Top dress bare areas with a mix of topsoil and compost, then reseed. Raised beds dry out quicker in wet springs, keep soil from becoming compacted by foot traffic and make crop rotation simpler. Plant dahlia tubers indoors in pots. Pinch the growing tips when they reach 6 inches to keep the plant stocky and make transplanting easier. Prune ornamental grasses, sedum, hydrangea, and buddleia to a height of 6-12 inches before new growth appears. Make a note of gaps in flowerbeds and fill in with spring flowering bulbs next fall. Sow peas, carrots, radishes, lettuces, and spinach weather permitting. Plant seedlings of cauliflower, cabbage, and broccoli but cover if frost threatens.